I am in the process of becoming a certified NLP Practitioner (NeuroLinguistic Patterning). The process below is used to create open space and to allow solutions to arise when you notice a conflict between you and your dog. 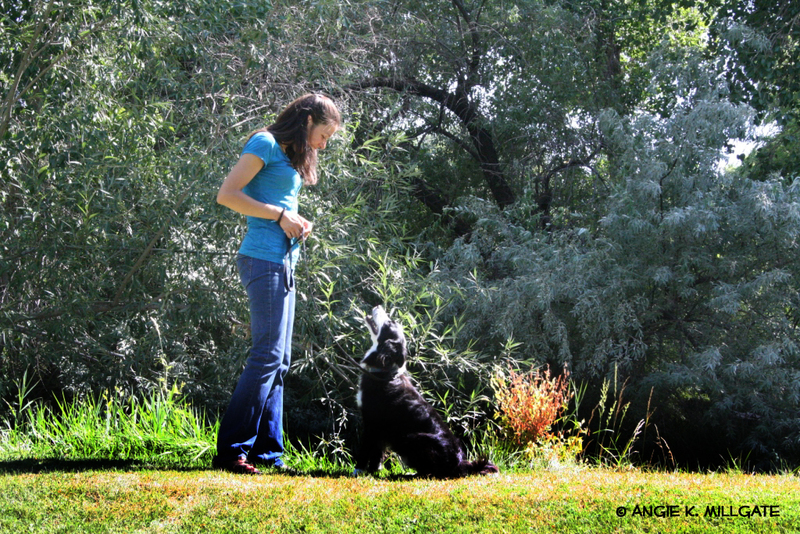 Think of a specific conflict or struggle you are having with your dog. It could be pulling on the leash or not performing some command. Go back in time so that you are remembering this specific conflict / struggle. Notice where you would be standing and where your dog would be standing if the conflict were real again. Step into the spot where you would be standing. Take on the emotions and the body posture you were feeling during the time of the conflict. Shake to move these emotions out of your body. Step into the space where your dog would be standing. Be your dog. 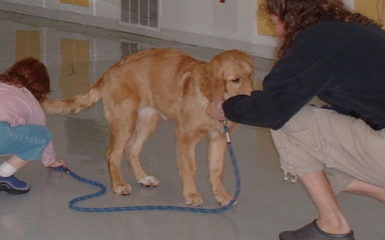 Take on the emotions and the body posture your dog was feeling during the time of the conflict. 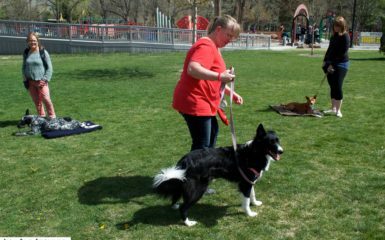 Notice any communication that may going on inside your dog’s body and mind. Step into a neutral space. A space where you are the observer. Observe the conflict with no judgment. Notice any information you gather as the observer. Step back into your space where you were standing during the conflict. Take all of the above information you have gathered and come from a new point of view that is more open and curious. What new information have you learned? 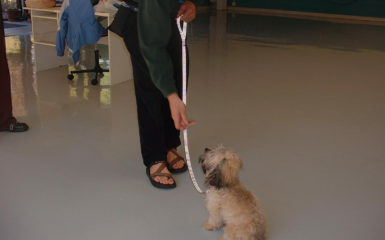 How can you apply this new information when you are training your dog again? Use this information to create the result you want in a more fluid manner. 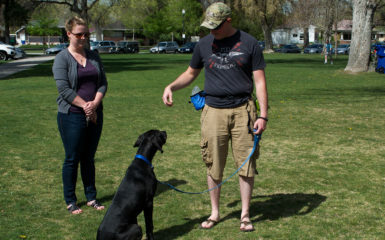 As I am learning more and more with NLP you will see shifts in my training techniques as I create an even greater rapport with my clients and help them establish the same with their dogs.